Thursday, February 7 | 4:10 - 5:00 p.m.
Friday, February 8 | 3:10 - 4:00 p.m.
Tuesday, February 12 | 11:00 - 11:50 a.m.
Wednesday, February 20 | 3:10 - 4:00 p.m.
Friday, February 22 | 12:10 - 1:00 p.m.
All Information Sessions will be held in The Grove room 1360. Can't attend? Check out the recorded session below! The University Honors Program provides current first-year students the opportunity to join UHP through the On-Campus Admissions program. High potential first-year students will be invited to apply to UHP during the Winter Quarter of their first year. Application invitations are sent in mid-Winter Quarter, and admissions decisions announced in mid-April. 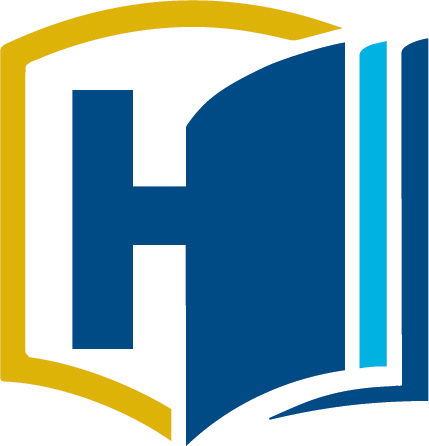 The application process includes open-ended essay questions about why the applicant wants to join UHP, overcoming challenges or barriers, how the applicant contributes to and is involved with the UC Davis campus community, and what students would like to accomplish by the end of their academic careers. The application also requires one recommendation from a UC Davis faculty or staff member -- Assistant, Associate, or (Full) Professor; Lecturer; Teaching Assistant or Graduate Student Instructor; graduate student lab or research supervisor; or UC Davis professional (career) staff member. During the application period, UHP hosts information sessions. The times and locations will be included in the email invitation and are listed on this page when they have been scheduled. UHP does not provide admissions opportunities to current second-, third-, or fourth-year UC Davis students. I didn't receive the invitation email. How do I get access to the application? All students who are eligible to apply to UHP through the OCA program have been sent an invitation email to their UC Davis email address. There is no publicly accessible application. I got a 4.0 - why didn't I a receive an invitation? Congratulations on achieving a 4.0 in Fall quarter! However, more criteria than just GPA are used in determining eligibility. We instead encourage you to get involved in small classes and connect with faculty through taking a First-Year Seminar, explore undergraduate research and pursue creative works with the Undergraduate Research Center, and check in with your major advisor about other Honors opportunities that exist within your field of study. I was invited but want to learn more. How can I get more information about the application process? Please attend one of the information sessions listed on this webpage. You will have the opportunity to ask questions at these information sessions. If you are unable to attend an information session, the presentation will be made available on this webpage after the first information session. I was invited and want to learn more about UHP. How can I learn more about the program? You can learn more about the benefits of UHP and what participating in UHP entails in our “Admission to UHP” and “Participating in UHP” FAQs on our general Admissions page. We also encourage you to learn more about our curriculum here. I see that UHP has a 4-year curriculum, but I plan to graduate in three years (or I plan to graduate in more than 4). Am I still eligible to apply? All admitted OCA students are required to complete the full UHP curriculum, starting with the Year 2 requirements. Exceptions to the curriculum will not be granted, and participation in UHP is contingent upon being able to satisfy each year’s requirements. Please take this into account when deciding whether or not to apply to UHP. When is the application deadline? Can I get an extension? All applications must be submitted by Sunday, March 10 at 11:59 p.m. All application data is downloaded at 8 a.m. on Monday, March 11 and as such we cannot allow for late submissions. When is the deadline for recommendation forms to be submitted? I am having an issue with the recommendation form. How do I get help? If you encounter any issues while filling out the recommendation form, please contact Elysia Frink at ejfrink@ucdavis.edu. Who do I ask to fill out the recommendation form for me and how? The first step in deciding who to ask is determining who on campus you have an ongoing relationship with. This could be a professor or TA whose office hours you have regularly attended, a staff member of an on-campus program, your campus employment supervisor, or any of the eligible people listed below. This person's role on campus isn't as important as how well they know you and how well they can speak to your suitability for the program. For example, a recommendation from a distinguished faculty member who only writes about your grade in class isn't typically as good as a recommendation from a TA or advisor who knows you well and you speak with regularly. If you do not have an ongoing relationship with an eligible person who can speak to who you are, now is the time to work on building new relationships before the March 10 recommendation form submission deadline. How do I know if someone is eligible to fill out the recommendation form for me? Assistant, Associate, or (Full) Professor; Lecturer; Teaching Assistant or Graduate Student Instructor; graduate student lab or research supervisor; and UC Davis professional (career) staff members are eligible to fill out the recommendation form. Undergraduate students, student employees, temporary or contract staff members, graduate students not in a supervisory or instructional role, and relatives of the applicant are not. To help determine if someone is eligible, you can do a "Person Search." All eligible people will have a directory listing, although some ineligible people may have one as well. On the ucdavis.edu homepage click the search icon in the top right corner, type the person's name, and click the "People" button below the search field. Typically a directory listing includes a person's UC Davis email, their Title, Department, and more. People who have a professor, instructional (e.g. lecturer, TA), or staff title (e.g. Dean, Director, Advisor, Coordinator, Program Assistant, etc.) are likely eligible. Graduate Student Researchers in a supervisory or instructional role are also eligible, and they will have "GSR" in their title. However, undergraduate students, even those employed by the university or in instructional or supervisory roles, are not eligible. They will have "STDT" in their Title if employed or their current class standing if not employed. If you have further questions please attend one of the upcoming information sessions. I saw that there is a question about my involvement in the UC Davis community. I am not involved on campus but have been involved elsewhere (e.g. my hometown). Can I use that experience instead? We specifically want to know how you are involved in and/or contribute to the UC Davis community. It can be any type of involvement (academic or non-academic) with the campus community. If you are not already involved on campus, you now have the opportunity to get involved before the March 10 deadline. However, you are still welcome to talk about your non-campus involvement elsewhere if it is relevant to the other application questions.